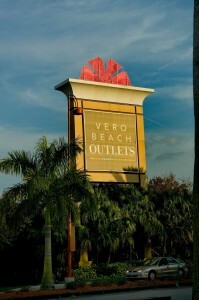 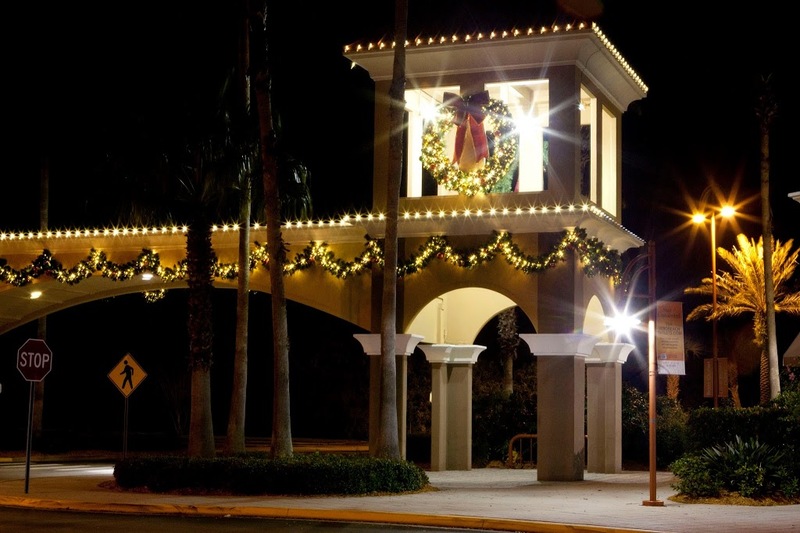 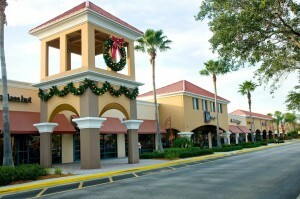 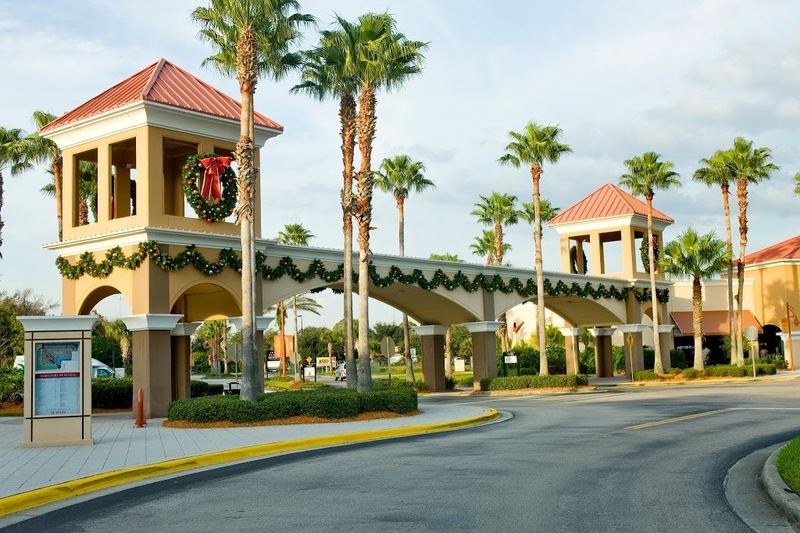 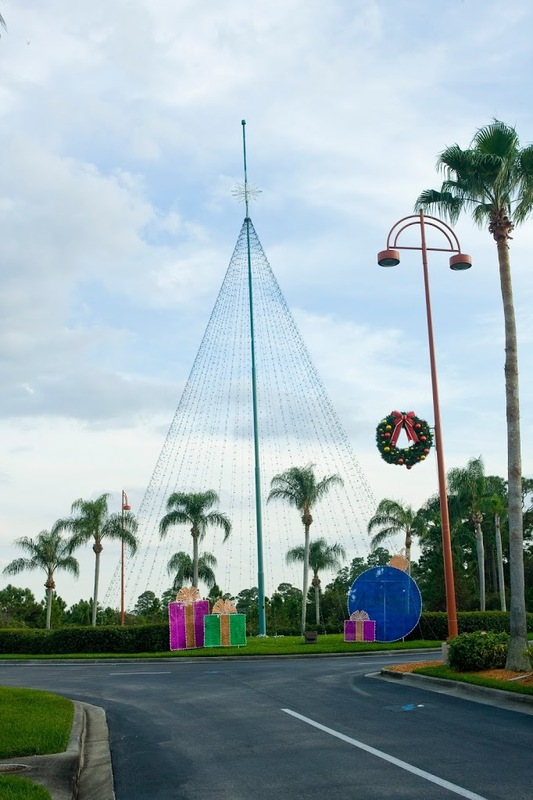 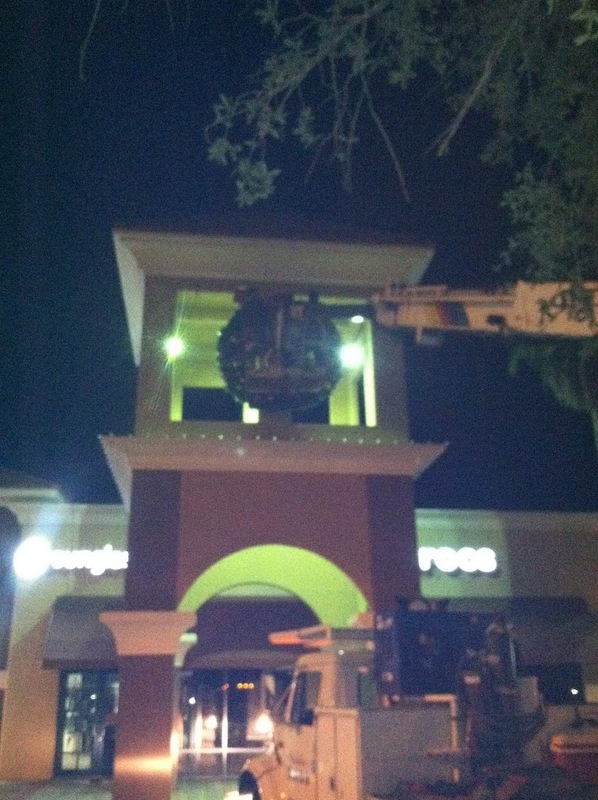 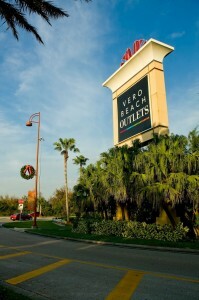 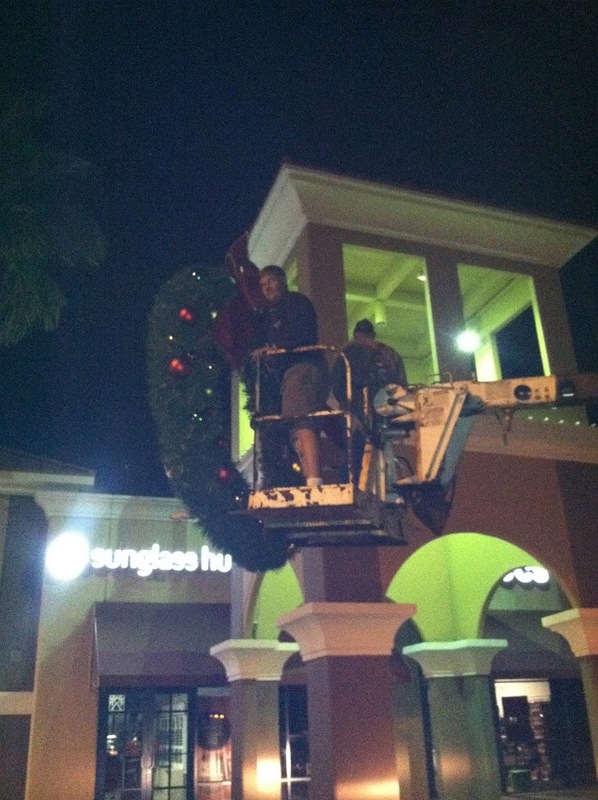 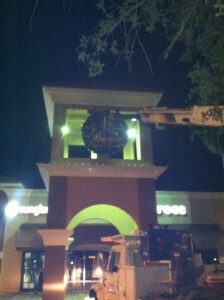 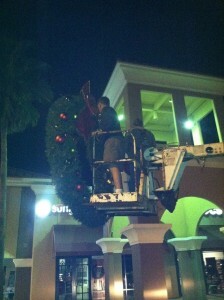 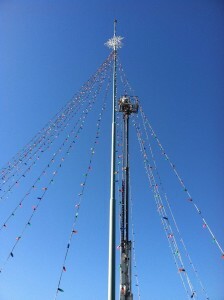 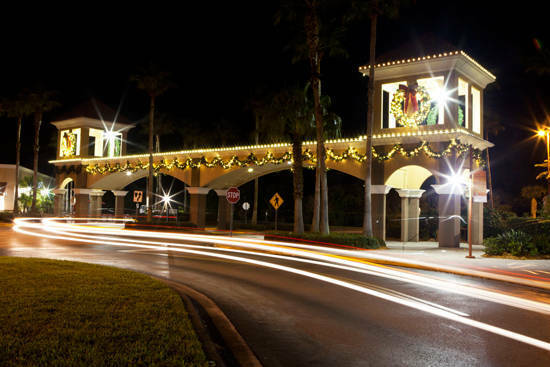 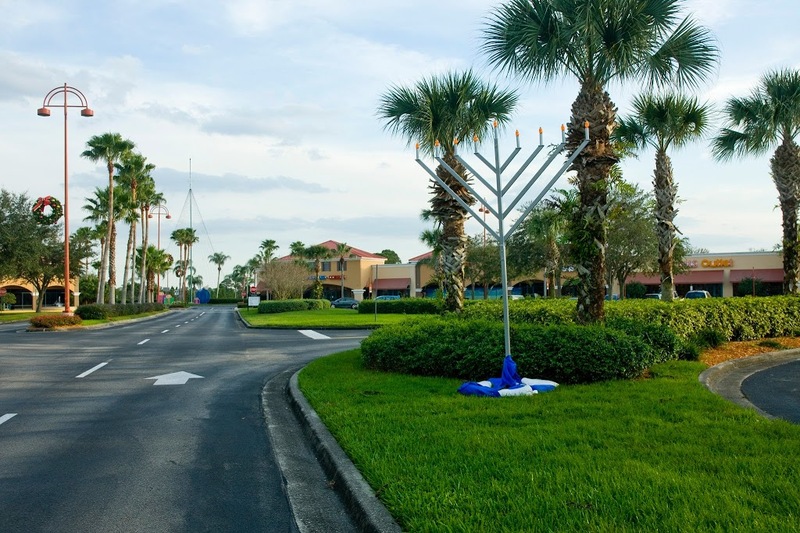 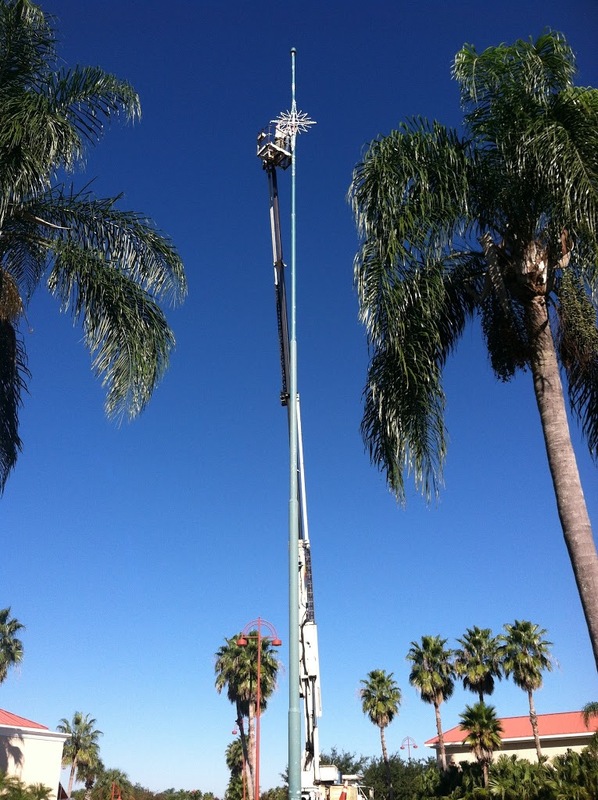 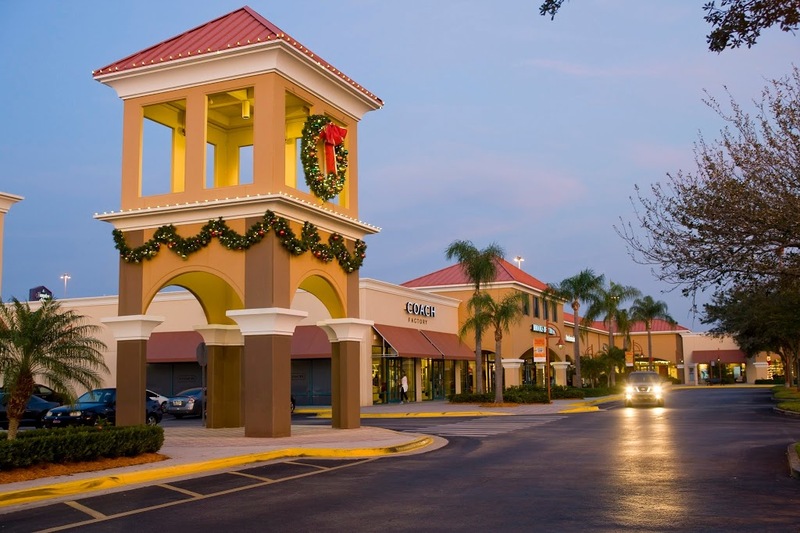 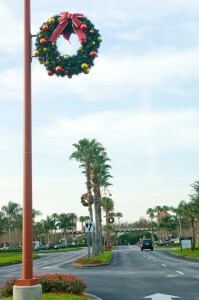 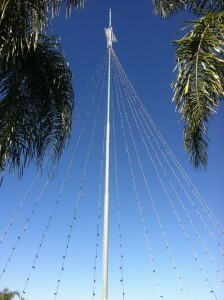 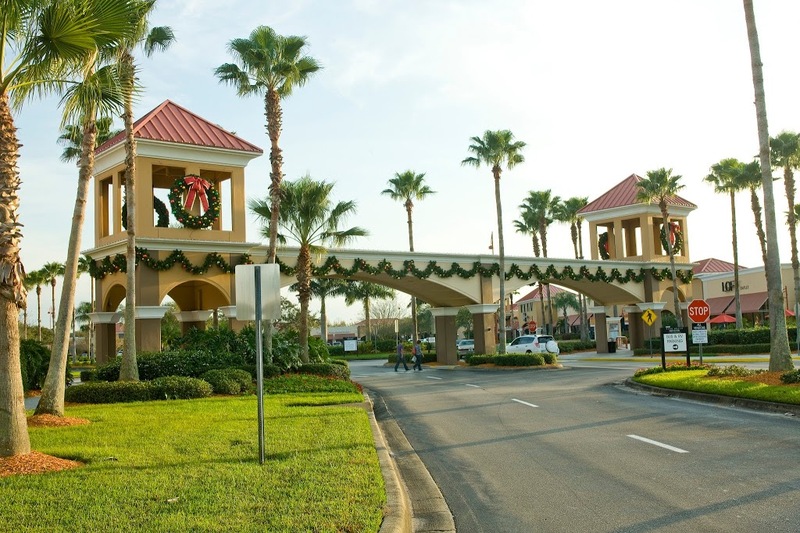 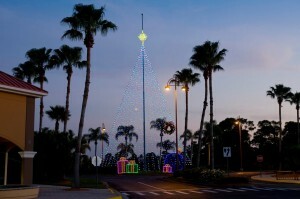 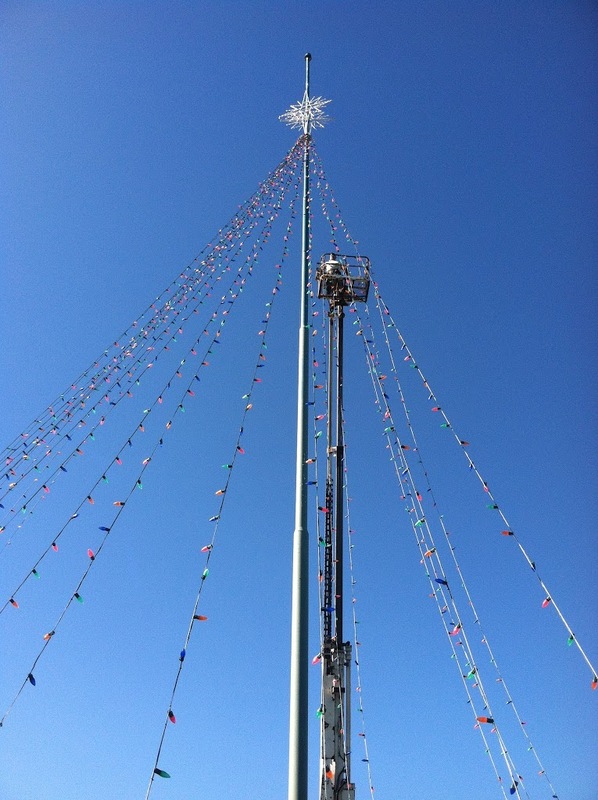 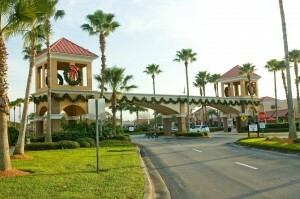 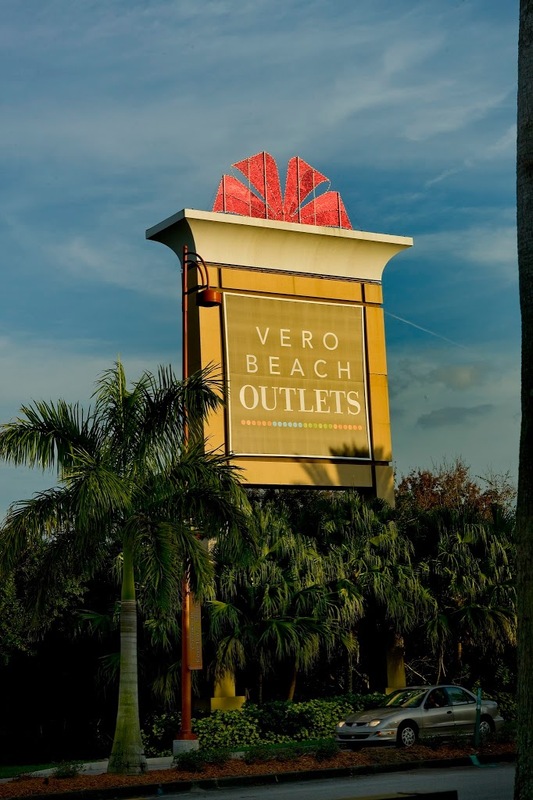 Vero Beach Outlets approached us in 2012 to assist them with their holiday décor. 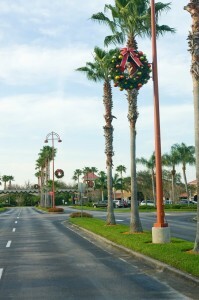 They had recently gone through a redevelopment of the property and wanted their holiday décor to reflect the transition. 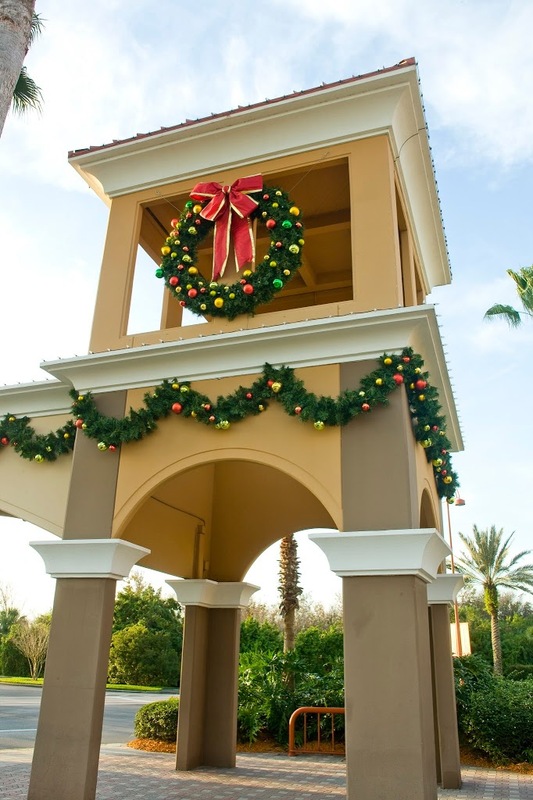 We met with their full management team on site and walked the property to get a sense of the center and their thoughts on décor. 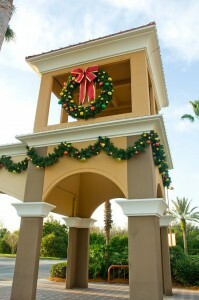 They wanted a traditional feel to their décor but with a theme that reflected their architecture and clientele. They also wanted large showpiece items that could be viewed from I-95. 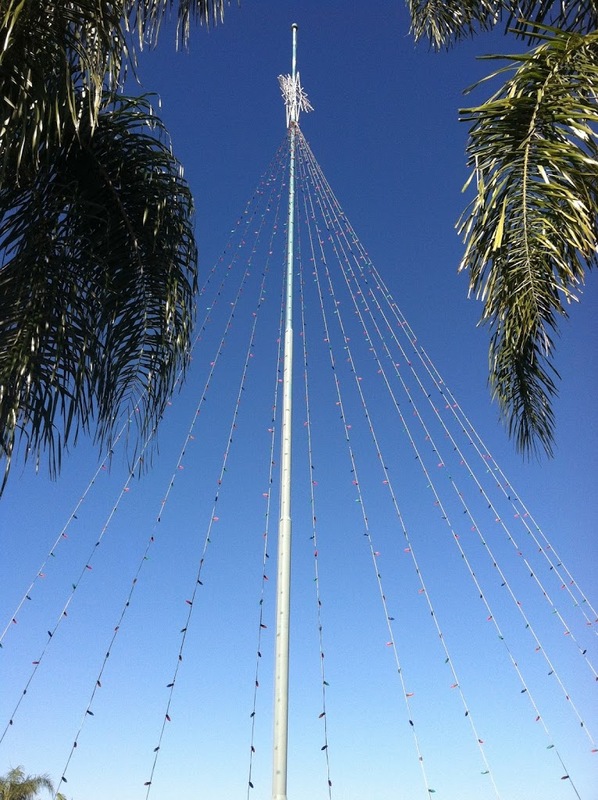 We created a large 18’ wide glitter mesh bow to sit atop their 60’ Pylon sign as well as a 95’ tree of lights with a 10’ topper custom built from their existing flagpole. 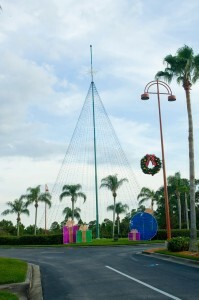 We also designed and fabricated a number of glitter packages around the base of the “tree”. 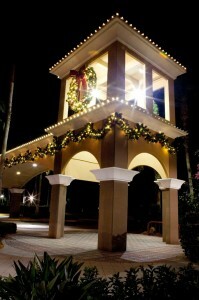 In addition to the showpiece items, they wanted the holiday feel spread throughout the center. We put custom 8’ commercial Christmas wreaths and commercial garland across their entrance bridge, corresponding wreaths and garland around the “towers” in center, and 6’ wreaths in their drive lane. 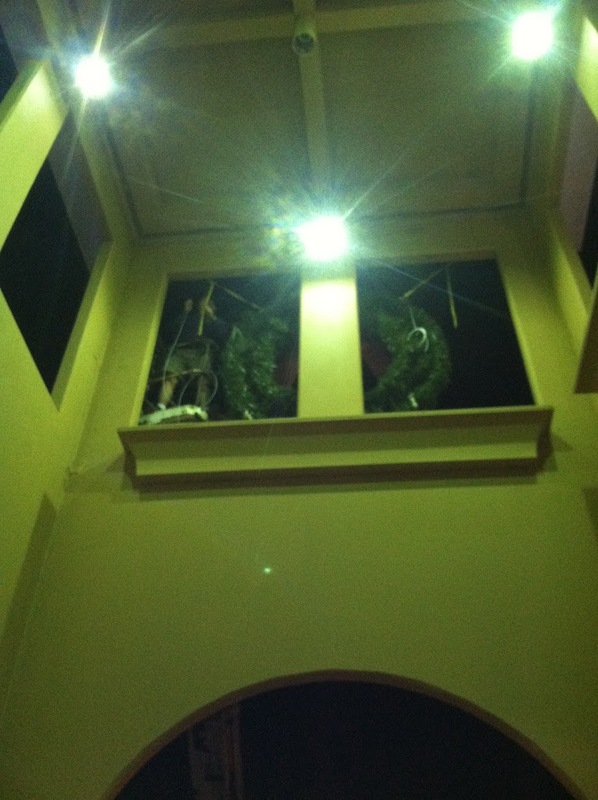 We also placed architectural lightline around each area. 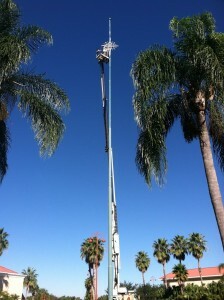 Check out some pictures of the install as well as the finished product after the jump.